Halo 5 isn’t reaching the Xbox One until 2015, but Microsoft & 343 Industries have been busy putting together Halo: The Master Chief Collection. Available November 11th, The Master Chief Collection brings together all four Halo games into a single disc for the Xbox One. Each game will run at full 1080p with dedicated servers.. Halo 2 sits at the center of the pack, and you’ll even be able to play the original multiplayer on Xbox One which is the best part. The Master Chief Collection will also provide Xbox One players with an early look at Halo 5. A multiplayer beta for Halo 5 will available through The Master Chief collection this December. Halo: Combat Evolved, Halo 2, Halo 3, and Halo 4 will all be part of The Master Chief Collection that ships on November 11th. I pre-ordered Halo ODST over a month ago, and it was well worth the wait. I didn’t know what to expect and I didn’t want to read anything that was written up about it, this is the only game that I finished since Halo 3, and I didn’t even manage to finish Halo Wars even though I want to. Incidentally I was playing KillZone 2 on PS3 to try it out and to hear what all the fuss was about but it doesn’t even compare to the Halo Series. 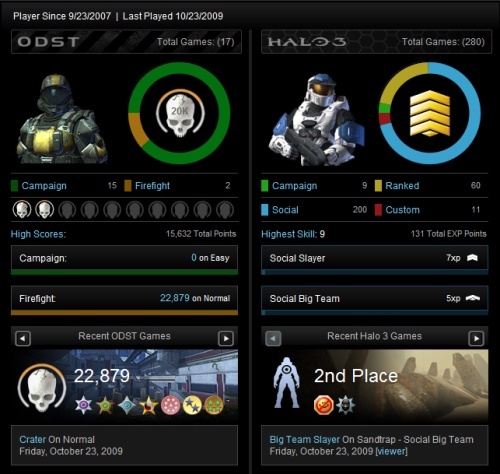 after about 18 hours of intense gaming co-op campaign sessions on Halo ODST we surprisingly reached the end, I was really enjoying playing campaign mode on Halo ODST, it was better then Halo 2 and Halo 3. 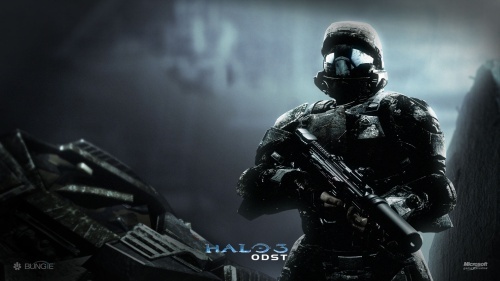 What’s different about Halo ODST is that you have a sort of Night Vision system which works great in the dark and your fighting monsters that you can really kill, not those sludgy creatures that get annoying, even if they are tough they die after some bullets. The game feels more refined and its nice that there is a really well made story line attached to the original Halo. I just hope that Bungie keeps on making Halo games with different stories and hopefully move forward with it, its once of the few games that I have ever kept on repeating. Now for the stats, I have done decently well but fallen far from those who are living online and killing non-stop and refining their skills. In Halo 3 I get anniahlated pretty quickly, except if I have rocket launcher so thats a different story. Halo ODST doesn’t have direct multiplayer but it has Firefights, which are swarms of killing those monsters again again, wave after wave of monsters getting tougher every time and you only have so many lives, weapons, and health packs. That is turning out to be very interesting and I’m thoroughly enjoying it, but I need to get some practice, you can have it co-op with two players and you can have more players in the firefight if your friends join you from X-Box Live, but I am still getting used to it. Overall Bungie have made an amazing game, there was just so much that was done, but I was hoping for more so this time around I’m going to play on a harder setting. They have done such a great job with other iterations of Halo that we expect and want so much, and I was hoping for the multiplayer to be upgraded with some of the game play from the campaign which gives you night vision at night, enabling you to really shoot better. If you haven’t played it then you are missing out. I have preordered this game a long time back, but I don’t think I’m getting the special features because I’m ordering it through Amazon. But check out the live trailer they did for Halo ODST it gives you a real feel to the game, I really do hope they come out with the movie soon. 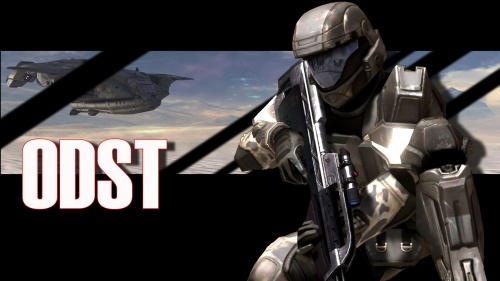 The funny part are the “Red vs. Blue” Episodes about how the normal Halo players are afraid of the ODST players. 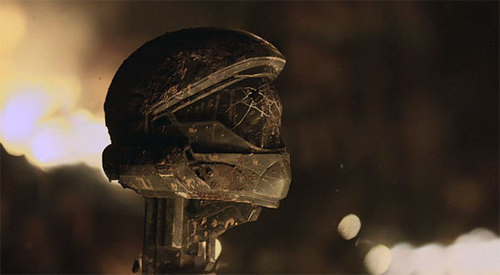 I think we might have a chance with ODST but still get are asses handed to us. 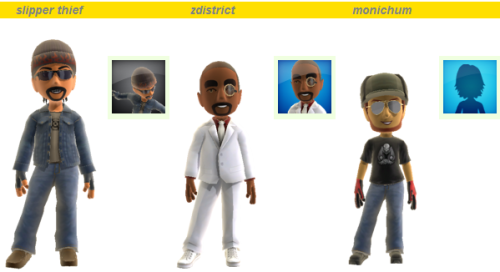 I’m always curious to see what other people’s avatars are in XBox, especially my friends and someone came up with a fun tool to find that out. People can get really creative with their online persona, I know I wasn’t too creative with mine but I do enjoy the look.